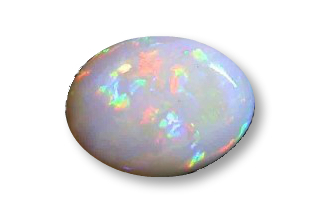 This usually happens if an opal gets saturated in water, and then dries out too quickly. it can also happen after a sharp impact with another hard object. If an opal is soaked in a liquid that has a lot of chemicals in it, the opal can absorb some of the chemicals, right along with the water. For this reason, we recommend that you do not wear opal jewelry in the ocean, hot tubs, or while washing dishes, or any other activity that would risk prolonged exposure to impurities in the water. This is especially true for Ethiopian Opals, and less of a concern for Australian opals.